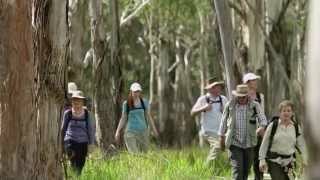 This walk explores the Scenic Rim region of South East Queensland; a stunning collection of mountains, ridges, escarpments, forests and ancient volcanic plateaus set in the foothills of the Great Dividing Range and surrounded by World Heritage listed national parks. This is a four day, three-night​ adventure for groups of up to 16 walkers. 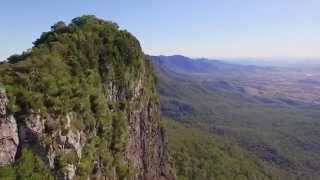 Departing from Cunningham's Gap, you'll be escorted by one of Spicers field guides, who's passion and experience will bring the tracks to life. Here you can rediscover the pleasure of simple things - like the peace that comes with walking through a forest to the song of native birds; the pleasure that seeing a curious wallaby can bring; and the awe that a sky full of stars can inspire. Best of all you can discover them all while enjoying a walk that is more about 'rest and relaxation' than 'rough and ready'. Explore the environment by day and return to the comfort of Spicers Canopy. Spicers Canopy features tastefully appointed, safari-inspired, permanent eco-tents. With polished timber floors, a Spicers signature bed, fine linens, Spicers bathrobes and a private deck with chairs that allow you to sit back and admire the majestic mountains of the Scenic Rim. This is a four day/three night trail for groups of up to 10 walkers. Departing from Cunningham's Gap, you'll be escorted by one of Spicers field guides, who's passion and experience will bring tracks to life. Your package includes: Two nights' accommodation at Spicers Canopy; final night accommodation at Spicers Peak Lodge; three days of guided walks, including the walk into Spicers Canopy, and the walk up to Spicers Peak Lodge; all food throughout your stay including gourmet breakfasts, banquet dinners, and a seven course degustation at award winning restaurant The Peak on your final night; all beverages from their premium range (including beer and wine); and transfers.